Beautiful short crocodile design rainboots for a woman who isn't afraid of rain or snow. When cleaning, simply wipe with a damp cloth. 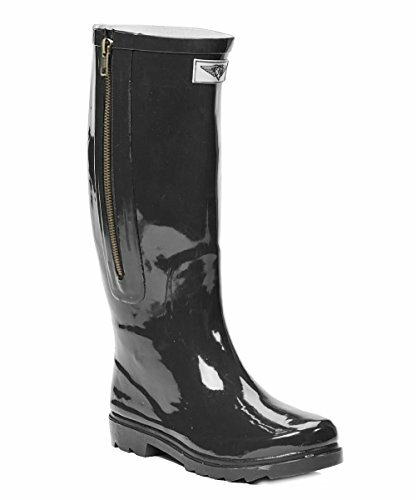 These 100% rubber rain boots will last you a long time with minimal efforts towards their care. These ladies rubber rainboots will prompt you to enjoy rainy days again and will last a long time with minimal efforts towards their care. Sturdy build waterproof boots with decorative side zipper and a non-slip rubber sole. Their ribbed platform and sturdy 1" heel will keep you safe on the chilled ground.